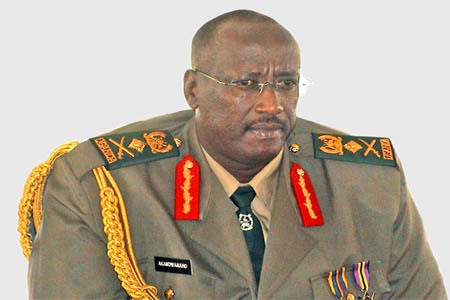 President Yoweri Museveni has named his younger brother and presidential adviser on military matters, General Salim Saleh, the new agriculture chief in Acholi sub region. Museveni revealed the appointment when he visited the families of late Lino Okuya and Labeja John in Ajan village Awere Parish in Odek Sub-county in Gulu district last Sunday. He said that he wanted to see how best he could support the two families who aided him during his bush war that brought him to power in 1986. The President said that the Late Okuya and Labeja were his collaborators. However, late Okuya was arrested by Amin’s soldiers and shot in a firing squad at Kaunda Ground in Gulu in 1973 for espionage while Labeja died in an accident. The “69 years” old ruler’s private visit was also the cause of conflict between relatives who fought for the president’s recognition but were reportedly chased away by the Presidential Protection Unit (PPU). While delivering his message to local residents at Awere Primary School playground, Museveni said that, his brother Gen Salim Saleh would lead 19 army officers, charged with producing seedlings in nursery beds and distributing them to local farmers. The area LC1 Chairman Mr. Moses Luwa told the president that, Acholi farmers are able capable of supporting themselves and in his speech asked the President to support farmers with oxen and ox ploughs, instead of waiting for handouts. “We are requesting you to allow more money for Acholi war debt claimants to buy animals and also support them with oxen to improve farming,” Luwa, a son of Mr Okuya said amidst applause. However, President Museveni insisted that he had chosen some of the best army officers to work with district leaders so that young farmers will be able to get wealth. “You do not have to wait to start getting wealth (lonyo) but development (dongo lobo) is for everybody,” Museveni said. “I have chosen army officers who will be supervised by Gen. Saleh here to work with your district leaders to grow seeds in nursery beds and distribute them to you,” he added. The army officers have already been deployed to stay in Awere and Atyak to work with local leaders towards the success of the project. The President revealed that the seedlings will comprise of citrus, eucalyptus, pines, and others; some will be brought from the southern part of the country while others will be grown locally. He said that the army officers will also rear cows in Aswa Ranch and distribute calf to farmers. Critics have said that, the move by the President to link Gen Saleh to agriculture in Acholi sub region, is to reconnect him to his previous attempt at grabbing land in the region. In June 200, Gen. Saleh unveiled a blue-print “for ending the LRA insurgency” with a price tag of Shs4bn, entitled ‘Security and Production Programme’ (SPP). The SPP envisaged setting up economic projects to ‘empower’ the people of the Acholi with a security element through which “people will be trained and adequately facilitated to provide for their immediate security, leaving the army to pursue rebels at large without being reduced to guarding homesteads”. President Museveni at the time said that there was a need for mechanised agriculture around the “protected camps” to supplement relief food and for the displaced to earn income. Prior to the SPP, Gen. Saleh had failed to impose on the region another project under his company called, “Divinity Union Limited” which outlined ‘the grain belt food basket and security concept’; and the second, a modification of the first, ‘the Security Production Programme’ – unlike its predecessor, it discusses the question of security and production in the camps of Acholi sub-region. The director of Peoples Voice for Peace Ms Rosalba Oywaa raised skepticism of the President’s new program saying that it was a reactivation of SPP. 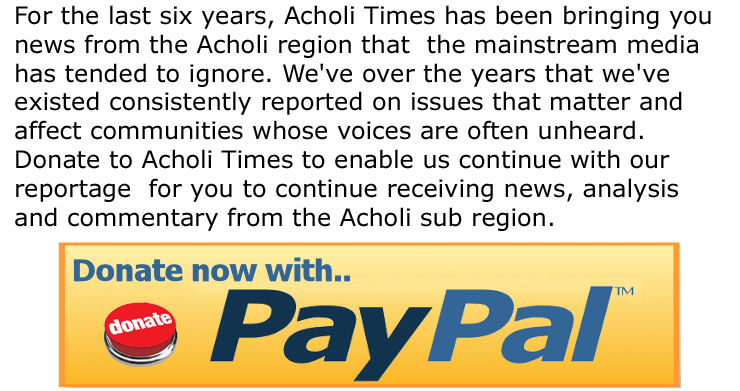 “The people of Acholi should be the architect of their own wants. Museveni took away Land in Otuke in the name of ranching; district leaders should look into this project carefully,” Rosalba said. Rosalba added that the President and his brother were taking advantage of the Deputy Speaker of the Country’s Parliament Hon. Jacob Oulanya because of his position, to bulldoze their land acquisition projects in Acholi. “The money should be given to farmers to grow their own food. This is not opposing development but something is suspicious,” Rosalba noted. The Chairman of Acholi Parliamentary Group (APG) Hon Ronald Reagan Okumu was also suspect of the initiative describing it as a conduit to steal public funds. “Gen. Saleh has no expertise on farming to transform the north to economic growth, it’s a ploy to loot the country,” he said. Okumu said questioned why the president would ignore the Ministry of Agriculture which has experts on how to implement such projects. The Aswa County legislator called for the total rejection of the project because it would not benefit the region, but take away land from farmers. “We are on course to founding cooperatives for farmers and create a bank to give cheap loans, invest and harvest and improve storage before sale,” Okumu said. Last Saturday, the High Court Judge, Justice Alphones Chigamoi Owiny Dollo urged Acholi to calmly tell the President that the Madhvani Company, was not of their choice. “Sit down and burn the mid-night candle and tell the president that Madhvani is not our favorite and show him alternative genuine investors,” Dollo told an Acholi conference held at Churchill Court Hotel in Gulu. “Do not be violent,” added Dollo while closing a one day conference on Land organized by Gulu local government and sponsored by International Alert. “Give Madhvani one square mile of land as a guarantee and if they refuse, look for another Zimbabwean one,” he added. The Madhvani Group of Companies is seeking 40,000 hectares of land for sugar cane growing in Amuru district. The High Court in Gulu recently ruled that such land belonged to the government. The President has frequently been meeting locals leaders over the giving away of land to Madhvani with little progress.